Linda Wendell Hsu is the Managing Partner of the firm's San Francisco office. She helped open the San Francisco office in 1996 when it included two attorneys and one secretary, and under Linda's leadership the office currently employs dozens of lawyers and a full legal staff. Linda has specialized in insurance coverage and insurance bad faith litigation since 1994. She handles all first and third-party insurance coverage issues involving all types of insurance policies, including personal and commercial auto, homeowners, CGL, and all types of professional errors & omissions policies, She has authored countless coverage opinions, has mediated hundreds of cases, and successfully litigates both declaratory relief and bad faith actions, through trial if necessary. Linda is licensed to practice law in California, Washington D.C., and Washington State. The state of Washington in particular is a hotbed of insurance coverage and bad faith litigation, and Linda has developed a specialty in representing insurers in that state, successfully insulating her clients from bad faith claims. Represented an insurance company in a breach of contract/bad faith case in which the insured sought insurance coverage under a Broker/Dealer Financial Services Professional Liability Policy, which was a claims-made and reported policy. The plaintiff in the underlying complex case, a life insurance company, alleged that the insured, an authorized sales representative of the plaintiff, engaged in a scheme involving the sale of short-term life insurance polices designed to allow the insured to illegally obtain sales commissions from the plaintiff. Our client insurance company took the position that the underlying action was not covered because the plaintiff in the underlying case was not a "client" of the insured, as that term was defined in the policy. The insured disagreed and demanded binding arbitration of the coverage dispute (the policy included a binding arbitration clause with a California choice-of-law provision). After a binding arbitration hearing, the arbitrator ruled in favor of our client and agreed that there was no duty to defend or indemnify the insured. A two-week trial of a bad-faith case ended with a settlement of 10% of plaintiff's pre-trial demand. The insured was a title insurance company that was sued by a client for negligence. Client insurer provided coverage for errors and omissions, and agreed to defend the insured under a reservation of rights. Not long after defense counsel was appointed, the insured demanded that the insurer settle the case. After the insurer explained that it just got the case and needed to conclude written discovery first, the insured unilaterally settled the underlying case, and then sued the insurer for alleged bad faith failure to settle. The law and motion judge (erroneously) denied our motion for summary judgment pursuant to the California Supreme Court's decision in Hamilton v Maryland Casualty, which states that an insured has no claim for breach of duty to settle for within policy limits if they are being defended by their insurer, until a judgment in excess of policy limits has been entered. We brought a motion for non-suit during trial based on Hamilton, and the plaintiff agreed to settle with the insurer for a fraction of the damages before the trial judge ruled on the motion. We polled the jury at the time of settlement, and they were 10 in our favor, 2 undecided. Prevailed on a motion to dismiss, as affirmed by the Ninth Circuit Court of Appeal, in a breach of contract/bad faith lawsuit. The insurer client issued a homeowners policy to a single mother. Her son beat up another minor at school. The policy included an Assault and Battery exclusion. Our motion to dismiss was granted by the District Court, which agreed that the allegations in the complaint established that the Assault and Battery exclusion applied to preclude coverage. On appeal, the Ninth Circuit agreed with the District Court decision and admonished the insured not to submit a "sham" amendment in an attempt to manufacture coverage. Regardless, the insured filed an amended complaint that contradicted the earlier allegations. On a motion for sanctions, the insured dropped the suit. Conducted the defense of insurer in a first-party bad faith action involving a product contamination insurance policy. The matter was removed to federal court on the grounds of diversity jurisdiction. Represented an insurance company in a breach of contract/bad faith case in which an individual insured sought coverage under a Broker/Dealer Financial Services Professional Liability Insurance Policy, which was a claims-made and reported policy. In the underlying case, the plaintiff, an elderly widow, had obtained a over $600,000 judgment against the individual insured for convincing her to invest her money in worthless real estate as part of a Medicare "scheme." Our client took the position that there was no coverage under the policy because, among other things, a "Selling Away" endorsement in the policy precluded coverage to the individual insured for the sale of real estate, which was not an "authorized product" by the First Named Insured. The insured disagreed and demanded binding arbitration of the coverage dispute (the policy included a binding arbitration provision with a California choice of law clause). After a binding arbitration hearing, the arbitrator agreed that the Selling Away endorsement precluded coverage for the defense of the individual insured or the $600,000+ judgment against him. A bad-faith action seeking over $150,000 in attorneys' fees, plus indemnity, was resolved for $20,000 after summary judgment, based on the insured's testimony and documents filed with the State regarding the insured's corporate status. In a coverage action arising out of a patent infringement suit, an agreed reimbursement of $100,000 was obtained in defense fees to our insurer client, following the depositions of the insured and broker. Linda has authored countless coverage opinions throughout her career involving many different types of insurance policies, including personal and commercial auto, homeowner's, Commercial General Liability, Professional Errors & Omissions (including claims made and reporting policies), and Financial Broker Dealer coverages. Linda specializes in attending mediations for her insurer clients where the insurer is not a party to the case but coverage issues predominate the claim. She has successfully settled hundreds of such claims favorably for her clients which have involved a plethora of legal issues and policy language. The following are just a small sample of the many cases Linda has successfully litigated over her long career. CDM Investors v. Travelers Cas. And Sur. Co. Defended insurance company in breach of contract and bad faith claim that insurer failed to reimburse insured for response costs incurred in state-mandated testing of property for pollutants. The trial court dismissed the insured's case on a demurrer filed by Selman Breitman, without leave to amend. On appeal, the court held that the demurrer was properly sustained without leave to amend because the absolute pollution exclusion in the subject policies precluded coverage. Because indemnity was limited to court-rendered damages, not damages imposed by the state, there was no coverage. Selman Breitman was successful on summary judgment in representing an excess insurer. The underlying lawsuit involved the Oakland Raiders football team suing OACC for intentional and negligent misrepresentation claims. The underlying suit had gone to trial and the Raiders had obtained a judgment of over $34 million (this judgment was overturned on appeal and the case was settled for about $22 million). OACC sought to obtain defense and indemnity money expended in that underlying suit from a primary carrier and several layers of excess insurers, claiming breach of contract and bad faith. The excess insurers claimed that they were not required to cover OACC's litigation expenses because (1) OACC failed to provide timely notice of the claim related to the Raiders' dispute as required by the terms of the policies and (2) as the Raiders' lawsuit did not commence until after the expiration of the policies, no claim was made during the policy period. Specifically, the claims made and reported policies issued to OACC provided coverage "from July 01, 1996 to July 31, 1997 (12:01 A.M., standard time)." The insured's letter to the primary carrier giving notice of the Raiders' claim was dated July 31, 2007 and was sent to the primary insurer by Federal Express so it was received on August 1, 1997. The insured also faxed a copy of the letter to their broker, who in turn faxed it to the primary carrier after 5:00 p.m. on July 31, 1997. The primary carrier had defended OACC and had paid over $6 million in that defense. The excess carriers, however, did not receive notice of the claim until October 1997 at the earliest. The court ultimately allowed OACC to take to trial its claims against the primary carrier and two of the excess carriers as to whether they gave timely notice of the claims under the policy provisions. However, the court dismissed the higher level excess carriers, including Selman Breitman's client, since the post-appeal settlement of the underlying case would not reach their layer of coverage. Pacific Building Development, Inc. v. Kensington-Fair Oaks Associates Joint Venture, et al. Linda went to trial in this case on behalf of an excess insurer which had issued a policy to a subcontractor which was a suspended corporation. In the underlying case, the primary carrier and the plaintiff entered into a settlement which did not exhausted all underlying insurance, yet plaintiff attempted to trigger coverage under an assignment under the excess policy. After a multiple day trial, the court ruled in favor of Linda's client on all issues, including allowing the introduction of key evidence that plaintiff attempted to exclude based on a mediation privilege claim. On appeal, the Court upheld the entirety of the trial court's 34 page opinion. Ruiz Food Products, Inc. v Catlin Underwriting U.S., Inc., et al. Plaintiff made a first party claim under a policy for damages suffered when its frozen food product was recalled due to possible Salmonella poisoning. After the insurer denied coverage, a bad faith case was filed in federal court. Linda successfully obtained summary judgment for the insurer on the grounds that the policy only provided covearage for products that were actually contaminated, not just products that were recalled due to the potential for contamination. Also, during discovery, Linda's team was able to prove that over $2 million of plaintiff's damage claim was not caused by the potential contamination, but merely because the vendor decided to to carry plaintiff's product in its stores. The Ninth Circuit Court of Appeal upheld the district court's summary judgment ruling on all arguments made by the insurer. Linda represents an insurer on all bonds issued to automobile dealerships in Northern California. In all cases, Linda has either secured an early dismissal before having to answer the complaint, has settled the case in return for a waiver of costs, or in one instance, settled with plaintiff at an early mediation for far less than the amount of the bond. Ms. Hsu has spoken on insurance issues at numerous seminars for several organizations, including the Association of Defense Counsel, bad faith seminars throughout California, basic training programs for new lawyers, The Defense Research Institute, and Claims And Litigation Management Alliance, to name just a few. 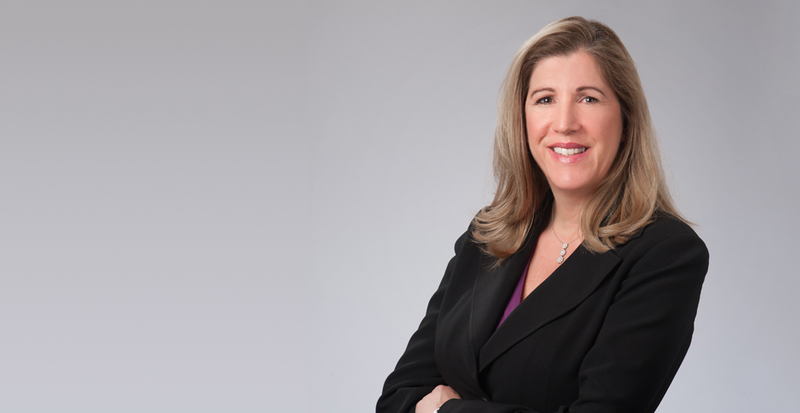 Linda has been named as a Super Lawyer for Northern California.